New CAL: Mystery Square 2014!! It’s mid July and this Scrappy li’l site is a bit dusty! But never fear – my little corner of the internet is just rushing with folks trying out this square by Destany of Instagram feed CayenneJalapeno. When I saw the square, I was so inspired that I just HAD to write up a pattern for it! 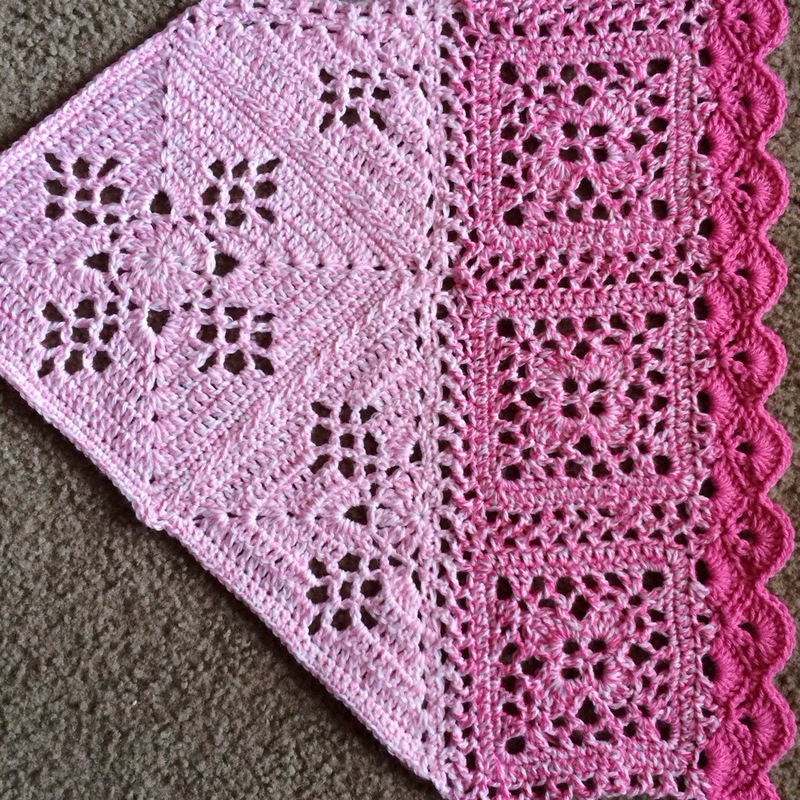 Now Destany has written up her pattern, named it “Victorian Lattice Square,” and made it available on Ravelry! How great is that?! Lots of crafty folks have been enjoying this pattern – enjoying it so much, in fact, that I think it merits a Crochet-A-Long! I’m playing with some design samples – this one has the featured square for the center, a round of smaller squares, and then about 6″ of fan and V stitch, plus a border (don’t quite know what border yet)! I’ll be working it in turquoise – YUM! I am still working out the complete pattern that we’ll be following, but below, you can see the schedule that I have so far. On Instagram, tag progress pics as #mysterysquare2014. Along the way, Admin Destany and I will be checking in on your progress and reporting your beautiful creations! 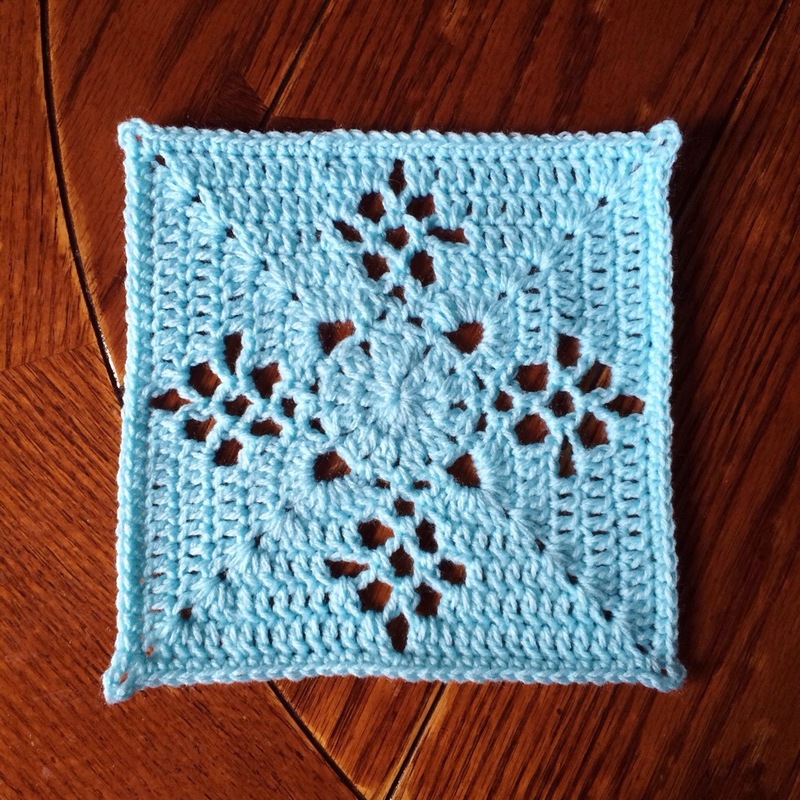 If you’d rather not follow along with my blanket, then feel free to do whatever you’d like with the Victorian Lattice Square! Once in a while, we’ll do a round-up of your unique piece progress for inspiration. Step 1: August 1 – Make 13 Victorian Lattice Squares. My first square is pictured below 🙂 I did make a couple of adjustments to Destany’s pattern, just because I can’t ever leave a pattern alone! Step 3: September 1 – Work continuous join to piece everything together for the center square. Step 4: September 24 – (You have an extra week in here to catch up and join your center panel!) 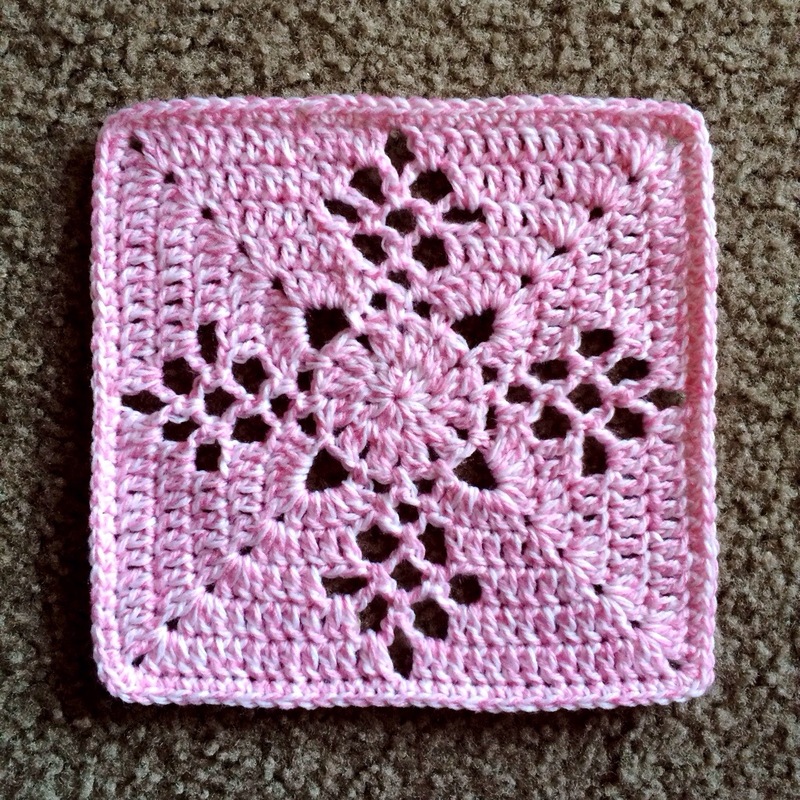 Attach smaller granny squares all around center motif. Step 6: October 21 – Edging! Woo-hoOO! PS: Check out our Members List! And the Victorian Lattice Square Finished Object Gallery!! Woooo! Pingback: #mysterysquare2014 | Saz Creates!